The GFS emblem and all of the badges are in the shape of a vesica. The vesica shape is an oval with pointed ends, which is used in art to surround sacred figures. It is also reminiscent of the shape of a fish, an important Christian symbol. One traditional task that GFS branches perform for their parish is to fold the palm crosses for use on Palm Sunday. This is usually done the day before Palm Sunday at a special meeting. 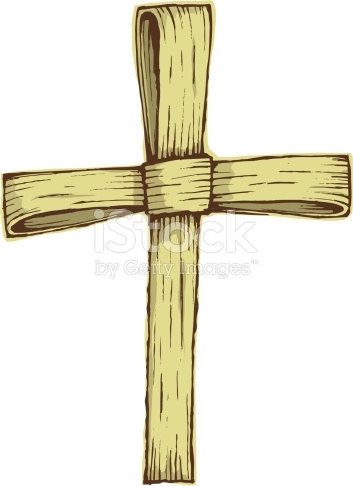 However, palm crosses can be made up to a week in advance and preserved in a sealed Ziploc bag in the refrigerator. 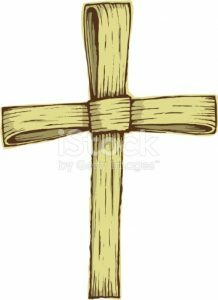 Since palms dry out easily, it is a good idea to drape a damp cloth or paper towel over the crosses until distributed Click Here for instructions to make Palm Crosses. Members may be officially admitted to Girls Friendly Society after they have attended 4 meetings. They should know the GFS Prayer and Motto, be familiar with GFS history and understand the promises they will make at the Admission Service. 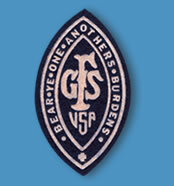 Members are awarded a GFS member pin and GFS badge to wear on their vests. Leaders may use her own discretion to determine the amount of material a girl must learn in order to be installed as a member. 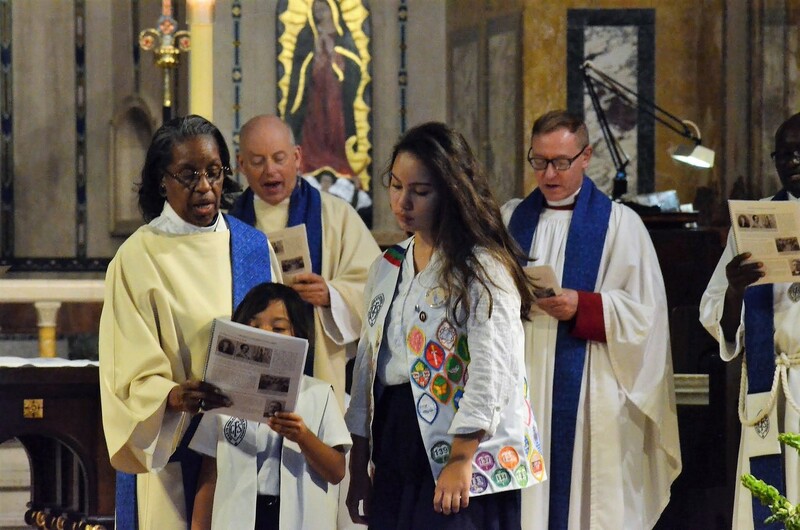 In the Diocese of Los Angeles, the badges are worn on a white vest with navy lining. Vests are worn for special ceremonies and at worship services, but not to regular meetings. Since the badge work is a significant accomplishment, it is customary for each girl to maintain a binder containing her work. This is a record of what she has studied and is often saved into adulthood. 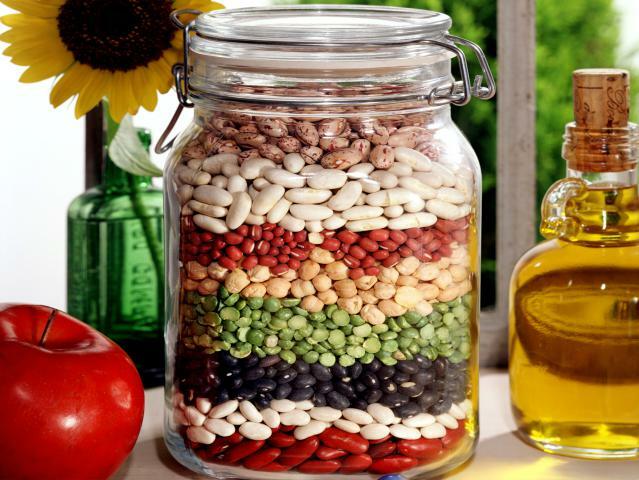 Dividing tabs help keep the work organized. A copy of the badge curriculum and its requirements, signed off, should be filed behind each tab, along with any written work or illustrations. The Diocese of Los Angeles GFS hosts a Rally Day in the Fall and Not So Quiet Day during Lent. Additional events are posted on our calendar. An Anniversary Service is held once a year. GFS celebrated its 139th anniversary in 2017. 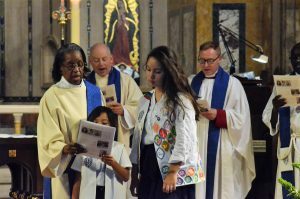 Members who have completed the blue, green, red, or purple level in the badge curriculum are awarded a ribbon for their vest at the Anniversary Service, along with a small certificate, signed by the Bishop of the Diocese of LA. In addition, the GFS World Day of Prayer is celebrated on or about September 29 each year. GFS/USA Week is celebrated from the last Sunday in January through the first Sunday in February. The National Board of Directors suggests that branches celebrate GFS/USA week by participating in the Souper Bowl of Caring. GFS/USA meets for business meetings and fellowship every three years at National Assembly. The next National Assembly of GFS will be in 2019 prior to the World Council. GFS World Council meets every three years. The next World Council will be in 2020 in South Africa. The girls form the basic unit of GFS. They are the basic unit of membership. 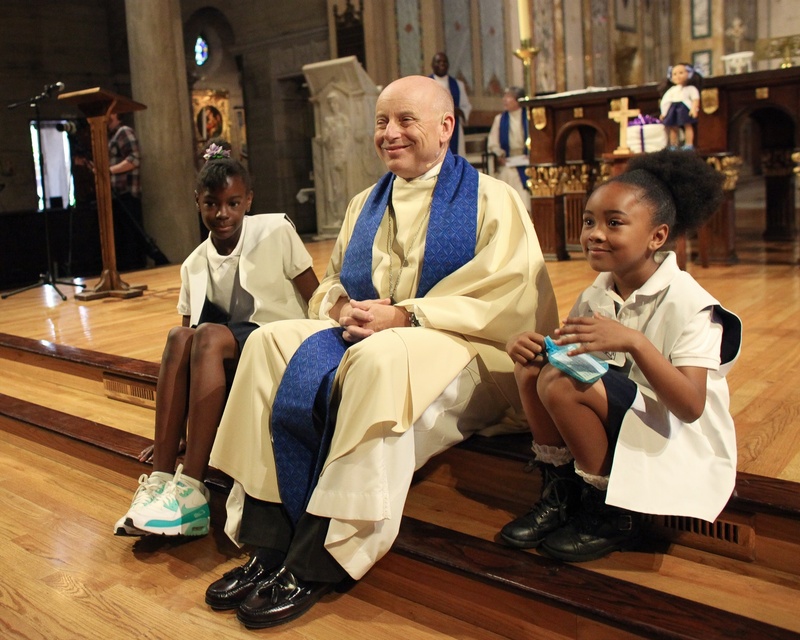 Two levels of membership for adults exist in the Diocese of Los Angeles: Sustainers and Sponsors. 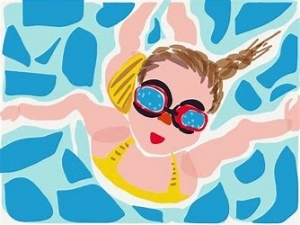 The girl membership is organized in branches at the parish level. The Diocesan Board of GFS/LA supports the network of branches. The Diocesan Board of GFS/LA is a member of GFS/USA and GFS/USA is a member of the GFS World Council. In addition to leaders, there are two other levels of adult female membership in GFS. Sponsors can be former members, leaders, mothers or anyone who supports GFS. Sponsors help support GFS by being “image promoters”, sharing about the ministry of GFS and praying for the needs of GFS. Sustainers is an honorary membership for women who have served GFS well and are nominated and voted to this level of membership at the GFS/LA Annual Meeting. Click Here to download Sponsors Brochure.